DXN started a new project in China. Get know more about this great development, the DXN China project. “China is a huge market and DXN should not miss it. To get the direct selling license in China, we need to make a huge investment. We decided to invest around 20 million euros in China to facilitate the raw material production, manufacturing and marketing set up. We chose Ningxia as our base as it has good and clean environment, no pollution industry, a perfect place for a healthy food company like us. We expect a huge market development in China. We will link our international markets with it and with the One World One Market concept we can develop a good and lasting market for all of our members. 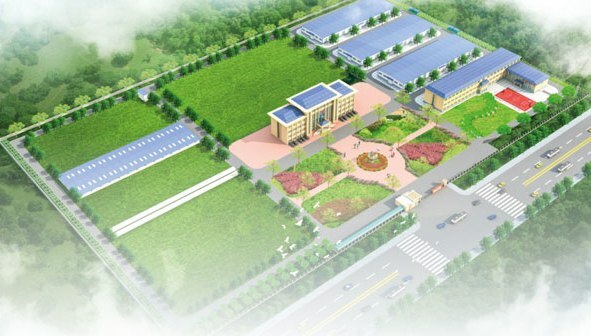 Dawukou District, the production base for DXN Spirulina, Ganoderma lucidum and Cordyceps. On 21st February 2017, the Dawukou District Government and DXN Holdings Bhd., Malaysia held an agreement signing ceremony at the Shizuishan City Convention Center for the research and development project of DXN Spirulina, Ganoderma lucidum mushroom and Cordyceps plantation. 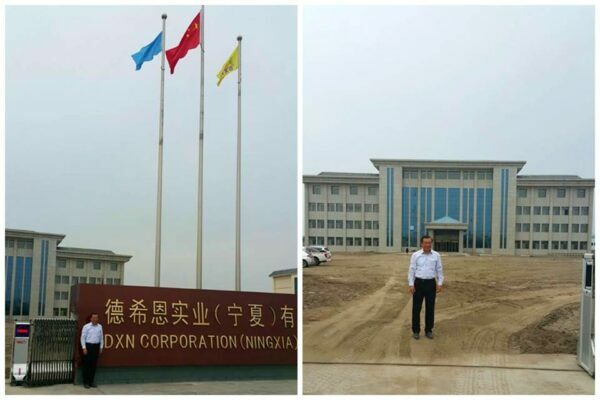 It is reported that the DXN Spirulina, Ganoderma lucidum mushroom and Cordyceps R & D plantation base project will be built at the Dawokou District Xinghai town from 2017 to 2020. This project will fully utilise 1000 mu* of land, 600 mu* of Spirulina plantation, 100 mu* of Ganoderma lucidum plantation, 200 mu* of mushroom plantation, 40 mu* of Cordyceps plantation and 60 mu* for factory processing purposes. Through this project, the government definitely will facilitate the economic development of the region, speed up the construction of a new socialist countryside and a place that is suitable to further promote Dawukou District to become a branding city. For the following project construction, Dawukou District will strictly manage the responsibility and requirements of the project agreement, land transfer, conflict adjustment, to assist enterprises in application and implementation of the relevant beneficial policies, to fully support the project construction and development, ensuring quick operation of the project, while further promoting the economic and industrial development of Dawukou District. “Due to the opening of the Chinese market, we would like to announce that no DXN distributor is allowed to send / bring / import any DXN product to China without prior consent and approval from DXN. Any violation to this guidance may lead to the further action taken against the DXN distributor. Thank you for your undersrtanding and cooperation. 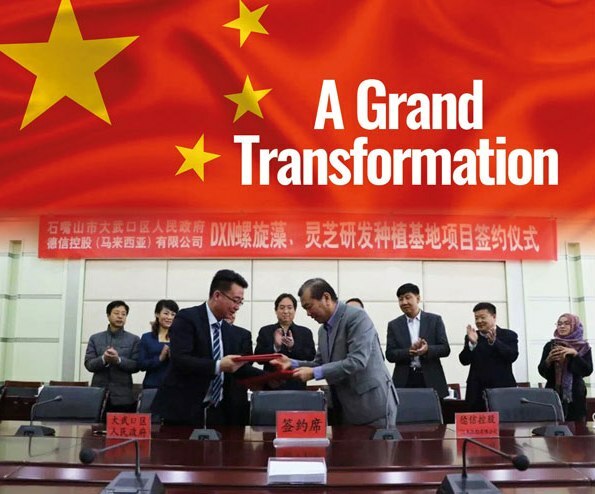 On April 18, 2017, the HSGE Agricultural Technology Co., Ltd. and DXN Corporation (Ningxia) Co., Ltd., which is the China subsidiary of Malaysia’s top health supplements manufacturer, DXN Holdings Bhd., signed a strategic co-operational agreement. The Head of HSGE Agricultural Technology Co., Ltd., Wang Haiyu and the founder of DXN Holdings Bhd., Dato’ Dr. Lim Siow Jin, signed the agreement, witnessed by the representative from DXN Corporation (Ningxia) Co., Ltd., and General Manager Su Peng from Qingdao Rongsheng Microalgae Biotech Co., Ltd. Upon signing of this strategic co-operational agreement, both parties will form a joint sales plan, within domestic and regional markets, and establish location for sales and related import and export business resources, as well as cooperation in promoting the cultivation and high-precision processing technology of Haematococcus pluvialis, astaxanthin, Ganoderma lucidum, and integrated import and export, and sales of edible fungus, north tea, and Lumbrokinase.